Every once in a while I re-evaluate my make-up routine, but for the most part it is pretty consistent. When I discover a wonderful new product, such as Benefit’s They’re Real mascara, or Urban Decay’s Naked2 eyeshadow pallet, I adjust it as needed and keep the rest as is. 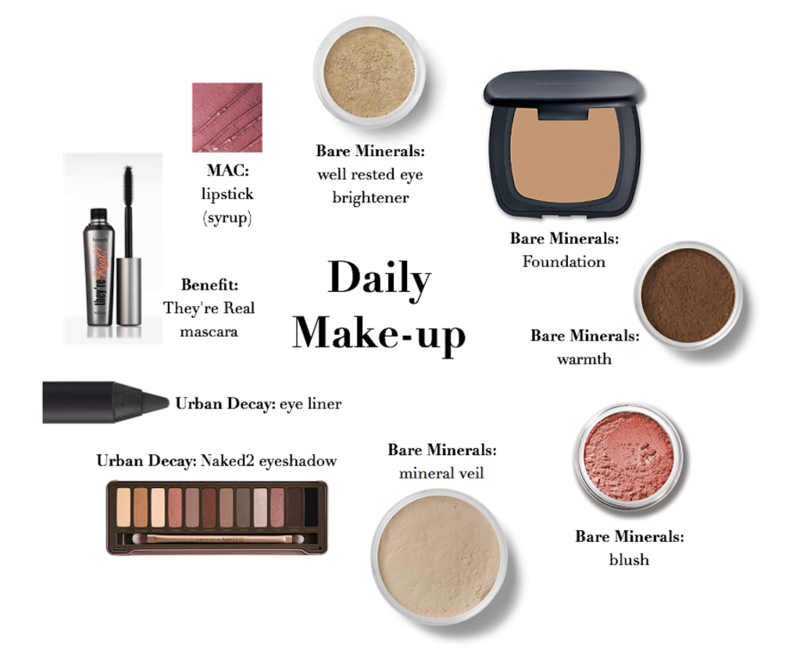 Bare Minerals has been my go-to makeup for the past 3 or so years and it’s worked wonderfully. I typically use it year round, with the exception of my casual, summer days where I may only throw on some of Laura Mercier’s tinted moisturizer as a base. Of course on days when concealer is necessary to cover any blemishes, I would throw that on as well. And if I know I’ll be having an extra long day I may start this process using Benefit’s POREfessional primer. Other than that, this is the routine that I could basically do in my sleep! Nothing fancy, but it gets the job done and leaves me feeling put together. I agree. I need to re-evaluate my makeup every so often as well. I also just did a re-vamp on skincare, and that was a major eye opener. Man, was I looking a little dull there for a while!